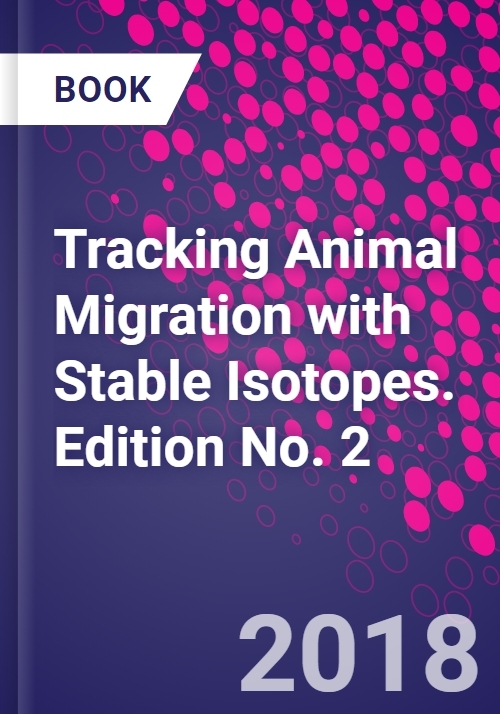 Tracking Animal Migration with Stable Isotopes, Second Edition, provides a complete introduction to new and powerful isotopic tools and applications that track animal migration, reviewing where isotope tracers fit in the modern toolbox of tracking methods. The book provides background information on a broad range of migration scenarios in terrestrial and aquatic systems and summarizes the most cutting-edge developments in the field that are revolutionizing the way migrant individuals and populations are assigned to their true origins. It allows undergraduates, graduate students and non-specialist scientists to adopt and apply isotopes to migration research, and also serves as a useful reference for scientists. The new edition thoroughly updates the information available to the reader on current applications of this technique and provides new tools for the isotopic assignment of individuals to origins, including geostatistical multi-isotope approaches and the ways in which researchers can combine isotopes with routine data in a Bayesian framework to provide best estimates of animal origins. Four new chapters include contributions on applications to the movements of terrestrial mammals, with particular emphasis on how aspects of animal physiology can influence stable isotope values. Dr. Hobson was a Senior Research Scientist with Environment Canada for 25 years, and is currently Professor of Biology at University of Western Ontario. Dr. Hobson developed tools and specialized in using stable isotope approaches to solving ecological questions in animal conservation and ecology with an emphasis on migratory connectivity birds and insects. Hobson is a fellow of the Royal Society of Canada. He serves as editor of Avian Conservation and Ecology. Dr. Len Wassenaar was a senior Research Scientist with Environment Canada for 23 years, specializing isotope analytical measurements and applications in hydrology and ecology. He and Dr. Hobson worked closely together to develop many of the foundational analytical tools to assign animals to origins using isotope approaches. Currently, Dr. Wassenaar serves as a Team Leader in Nuclear Applications Division of the International Atomic Energy Agency (IAEA) in Vienna, Austria.